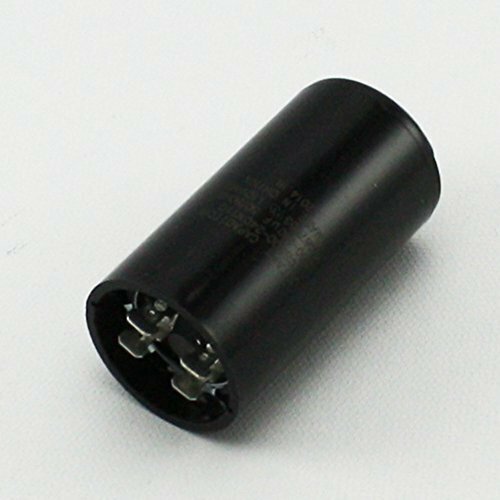 With the help of our professional designers, we bring out Motor Starting Capacitors. We design and manufacture this range as par the international quality parameters that wil definitely meet the client requirements. We "Balaji Electronics",established in the year 1993 are one among the renowned organizations of the industry successfully engaged in manufacturing, supplying and exporting a wide range of Mosquito Swatters & Killer and Capacitors. Under this range, we offer Rechargeable Mosquito Swatter, Hunter Mosquito Killer, Hunter Killer User Manual, Mosquito Killer Demo, Aluminium Can Capacitors, Electrolytic Capacitors, Tup Tup Mosquito Swatter Bat and many more. With the support of deft team of professionals we manufacture this entire range as par the international quality parameters using qualitative raw material ad latest technology. In order to meet the distinctive requirements of the market, we are offering this range in various specification and custom built models. All the products offered are strictly examined on the basis of the various quality parameter set by the industry, to their ensure its compliance of offered product range with the international quality parameter. Hence, our offered range is widely acknowledged in the market for its safe power input, environmentally 100% safe, convenient to handling, non polluting nature, creates no environmental pollution, has no side effects and allergies from chemical, excellent performance and long service life, these products are widely used in various offices, corporate houses, commercial complexes and industries for getting rid of mosquitoes. We are supported by a state-of-the-art infrastructure facility to manufacture a qualitative range of products as par the international quality parameters. This facility is equipped with latest machines and technologies which aids us to meet the bulk and urgent requirements of our clients within the promised time frame. Furthermore, our facility is divided into various units namely manufacturing unit, quality testing unit, warehousing unit, administrative units for the proper functioning of our organizational activities. We have also hired a team of dedicated team of professionals to manage this facility on the basis of their skill, industrial knowledge and experience. In addition to this, our professionals strive hard to serve our clients as par their specific requirements. Hence, with our ethical business dealings, various payment modes, larger product-line, client-centric approaches and transparent business approach, our organization has succeed in garnering a rich clientele for ourselves. Majorly we export products in Indian Subcontinent.